Crafted from Rawlings' world-renowned Heart of the Hide steer hide leather, the Heart of the Hide series gloves feature the game-day patterns of the most recent Rawlings Gold Glove Award winners. These high quality gloves have defined the careers of those deemed "The Finest in the Field" and are now available to elite athletes looking to join the next class of defensive greats. 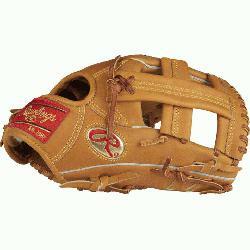 Worn by countless Rawlings Gold Glove Award winners since 1958, the traditional Heart of the Hide ball glove line set the standard by which fielder's gloves are judged today. With legendary USA Horween leather, the best pro patterns and highest quality craftmanship in the world, the tried-and-true Heart of the Hide glove series and its new colorways provide elite players with the pro-style glove they need to make their mark in the field. This Troy Tulowitzki Game Day Heart of the Hide 11 12” baseball glove features a conventional back and Single Post Web pattern, which is desired by infielders at the 2nd base ,short stop, and 3rd Base positions. Handcrafted from the top 5% of steer hides and the best pro grade lace, Heart of the Hide glove durability remains unmatched. 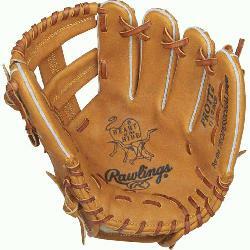 The leather has been injected with oil for a smooth finish and it is lined with deer skin for a soft feel. 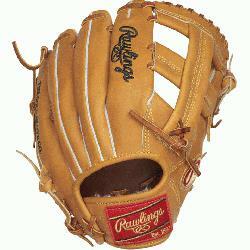 This glove is made to the exact specifications of the game day glove worn by Gold Glove Award Winner Troy Tulowitzki.